Twproject is flexible, you know that right? It lets you create your own reports, forms, dashboard and from its very beginning it allows user to add custom fields on all main entities. During the years this great functionality has been improved, adding custom fields on every object, tasks, resources, worklogs, costs, issues. Now we give you even more. Custom fields can be now visible only on objects matching one or more characteristics that you specify while creating the new field. Great, isn’t it? Below you see the syntax for adding a new field on the task editor: I’ve added a custom field asking for an external code that refers to my invoice system, I say to Twproject to show this field only on tasks of type “Course”. The first part represent the name, the second the length of the field and the third one the condition. Read Twproject’s Object Reference and find how to write your condition. Let’s check this new feature. In our experience with thousands of great companies, that we’ve met thanks to Twproject, we have analyzed so many teams at work, encountering always the same characteristics defining great leaders with successful and happy collaborators. Being a leader is not an easy job, you have to carefully balance humility, strength and integrity, being always steps ahead and empathetic with your team. This interesting infographic show 6 characteristics on how to be a great leader. Have a Vision – Communication is a key point being a leader, a vision is not enough, you have to be able to describe it to your team in order to transform it into an executable plan. You need to anticipate problems embracing change. Read the following post if you want to know more about more about improving communication within teams. Be Modest– being a great leader requires humility, you need to admit mistakes being open to criticism and ready for improvement. Manage Emotions – Emotions lead a team like a leader, and for this reason you have to be able to manage them, in particularly yours, in order to always positively effect others. Be Honest – Be always sincere to build lasting trust in your team. Help Others – Helping your team growing will help your projects too, acting with generosity always affect positively your people. We found this infographic really helpful, summarizing all main qualities you need to attain for being a great leader, read below for the full list of tips. If you want to manage your projects efficiently and improve your team communication you can try Twproject, the best project management software that helps thousands of companies getting things done everyday! Organizing work to-dos is probably the hardest part of self organization, we read every day so many articles about haw to stay organized managing time productively and creating effective to-do lists. Here at Twproject we face the same problem as you do, because we are developers, marketers, designers exactly like you. When we started redesigning Twproject 6 we sit around a table thinking about how to really solve this every day problem, how to really help people organizing their to-dos? Let’s see what you can do with this amazing tool: first of all, at the top of the page you have a filter that gives you all the power to find and refine the list of selected to-dos. This is up to you, you can decide to organize your to-dos task by task, or all together, you may just want to see the most urgent ones, or the open ones, as I said, it depends on you. Twproject filters are really flexible and all filters can be saved and reused. Your filtered to-dos will appear on the grid on the left, or in the box of the day in case you have already planned them for a specific day. Now what you have to do is simply drag them to the day you want to schedule it. Having your to-dos-planned will help you also keeping track of them, the impact bar will show you if you have expired to-dos, something that you should have done and that is still open. This tool is helpful even more considering that you can then prioritize all the to-dos you have for a day. The Twproject to-do planner is even more powerful because it can be used in a shared environment, so you can add more users to the list moving to-dos from one resource to another. This is very useful if you work in a smart team that shares thinks to be done. Create your work list according to your tasks, plan your to-dos with Twproject planner staying always organized, prioritize them day by day, add comments, screenshots and get things done! Convinced right? So just give Twproject a try! We have always defined Twproject as a flexible project management software and the reason why we do so is that there is not a sector where Twproject is not useful. Our project management software is used by thousands of companies all around the world meeting expectations of great project managers and their teams in almost any fields. Twproject project management software has a very intuitive interface that enables an efficient communication in the team, and a great set of features answering needs of all companies leaders. Today we want to focus on how marketing agencies use Twproject, which are key features for these teams and why. Twproject can be easily used for managing marketing campaign; every project you create has a start and an end date identifying your campaign period, milestones can be set at the beginning or during the marketing initiative according to goals you want to achieve. With Twproject you can set your goals and meet them. Every project can be structured in tasks as per your campaign strategy, tasks can be closed, paused according to your needs; checking progress in real time is the key to make your campaigns work. Once your project structure is created you are ready for brainstorming with your team about things to do, tools to use, social media to engage and Twproject is ready to help you. Every project has a discussion section where all team members can discuss, propose, approve ideas, encouraging creative thinking. Twproject allows you to link every project to a to-do list. You can add here everything you need to remember, everything you need to do, and in the same place you can store useful links, images, videos, every resource helpful for your marketing campaign. Everything can be commented by the team, collaboration has never been so easy. You can always stay in touch with your colleagues, arrange meetings with Twproject shared agendas and staying up to date with campaign progress. Every information about your progress is stored and easily readable so that you can analyze your achievement and improve your future campaings. Twproject project/campaign can be cloned, so for the next campaign you just need to duplicate it and you are ready to go! Twproject includes complete reports for adjusting and changing future strategies. And last but not least you can record all your time spent on every specific project, so that you will always be able to track your campaign costs. Through our customers and contacts we frequently get reminded about Microsoft Project© enduring existence. Twproject was in fact first born as the limitation of Microsoft Project (it was 1999 🙂 ) were unsolvable by using the Microsoft Project API available at the time. And the two project management solutions are born to differ in their core philosophy – and they do. Web applications became possible at the time and Twproject development started, around 2002, and Twproject got developed as wed based and around the idea of making information gathering as easy as possible. Why care about Microsoft Project then? The team that develops Twproject and the set of its customers are often large, even enterprise companies, and we have the experience and sensitivity to typical corporate problems of software and IT integration. In these contexts we are still frequently asked how Twproject and Microsoft Project compare as solutions for corporate customers, e.g. I actually downloaded it and I am trying it on my localhost. I would love to hear though what advantages Twproject has over Microsoft Project Server. We are in the process of trying to decide. If you have a comparison white sheet I would be grateful. Being web based then and today meant ubiquity, adaptiveness, flexibility, inclusiveness. This in our opinion is what Microsoft Project always lacked. Microsoft almost made it (in 2014!) making a web version of Microsoft Project the reference one. Still if you check their user interface it tries to emulate desktop software, using an iconic language alien to the web. Microsoft marketing in the referenced videos stress the simplicity of the price model, probably as an effort to distract from prices. Well Microsoft’s model is actually quite complex, price ranges from $33 to $58 (per user / month!) – and if you want to use the desktop client, prepare to pay $1556 for each client! That is way more expensive than Twproject, which gives you a full user for less than $5 per month! equation which constitutes the core of the Gantt model. While in the current version planning is fully supported, still the core of Twproject is collecting information about real work done. So it collects multiple projects, allows temporary dis-alignment of dates and statuses, collects issues, to-dos, worklogs, does all it can to encourage users to insert information in the simplest, fastest possible way. Planning is supported, but Twproject works with and without planned work. Microsoft Project depends for everything on Share Point©, so including its collaborative aspects. it is strongly integrated with Microsoft Exchange©. So you have to get the whole Microsoft package, like it or not, to adopt Microsoft Project. Meh. Twproject instead is functionally and technologically widely compatible with different solutions and is built to be non-intrusive. This is true for both the installed and the online version of Twproject. For example, the installed version runs stand alone in Tomcat (a Java web server), and can run anywhere, supporting easy integration with say LDAP, single-sign on and directory services. The on-line version comes as a dedicated server instance that comes with its own mail server for a dedicated notification email. Twproject works fine without Microsoft Exchange©, simple connection with an SMTP and POP3 service gives you full e-mail integration. Twproject has an “open” approach (even if is not open source, sources are available for our customers). It runs on every operating system and can use any database. It is available both on cloud on or customer premises. It is web based and you can use it with every “modern” browser. Twproject is a wise choice from the IT manager perspective because of its open data and infrastructure features, as IT infrastructure changes over time. Twproject is built by a small, solid and very efficient company. Its developers are ready to give support on the solution; moreover complete sources are available for free for all customers. Twproject is structured to support customization, custom extensions, reports, wizards, complete custom forms, and export and import with other data sources. We deployed and maintain many customized parts for our over 3000 customers, all compatible with Twproject main release and hence compatible with updates. After 15 years, the divergence of the two products is still considerable. 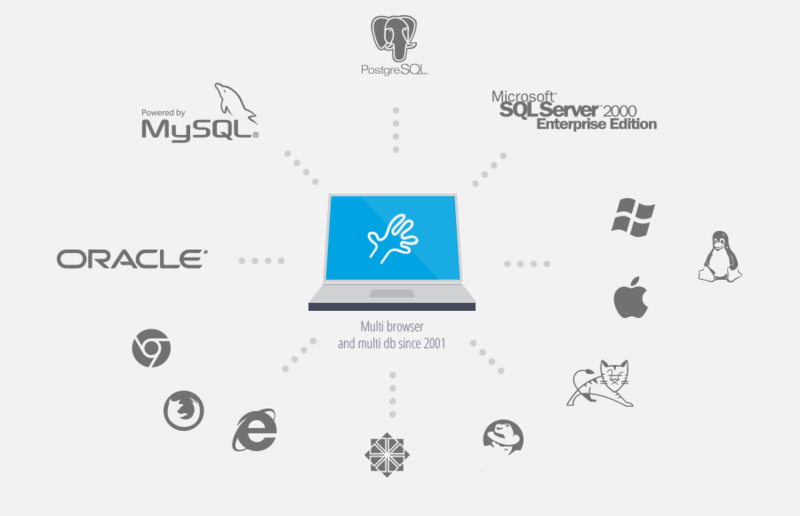 In the meantime, the road of the web as a platform for applications has become the main path for collaborative software. And the diversity and richness of IT environments has increased. So we believe there are ever more good reasons to pick a safe, compatible solution as Twproject instead of the closed Microsoft Project universe. Twproject is not affiliated in any form with Microsoft. Microsoft Project, Microsoft Exchange Share Point may be Registered Trademarks of Microsoft Corporation. Usability of a product and flexibility of a custom solution? Enter JasperReports! Twproject solves this by using powerful filters and role based structures which allow users to focus only on what they are really involved in – filtering by topic and time. E-mail notifications constantly interrupt you? Minimize the risk of productivity slumps keeping track of all your activity with Twproject. Communications is easy and collected in your tasks, reducing need for one-to-one communication by email and chats. Designed to adapt to your organization’s processes, Twproject supports different methodologies: Scrum, Kanban, XP or classic waterfall. Twproject is so flexible that it lets you map projects, tasks, issues to people and customers, in the way that better fits your needs. Twproject time tracking tool lets you insert (quickly!) 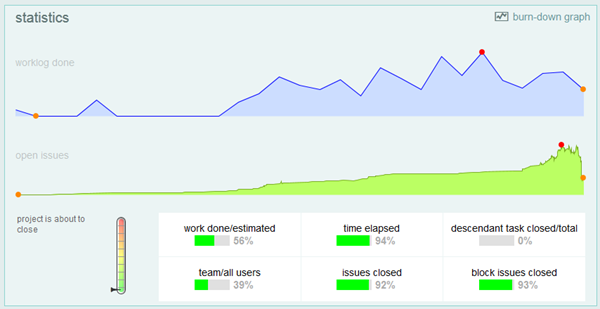 and monitor time spent on tasks, so that managers can check tasks progress and users can assess their own productivity. Use Twproject interactive Gantt to split the work into sub-tasks with achievable aims, use Twproject to assess what is most time consuming (and react when necessary), use quick messages for ad hoc communication, and last but not least – let everybody work the way they want. But what makes Twproject unique is that you can change project structures and assignments while production runs, without losing anything of the information introduced so far. Finally Twproject offers one login for one platform with tasks, issue tracking, time tracking, integrated agenda, shared documents and much more. Twproject fully customizable roles/permissions allow users to maintain control over sensitive areas. Role based on assignments let users have different rights for different tasks. Twproject task progress is easy to track, statistics are always available, giving you an immediate perception of task health. Twproject is a high-end project and work management tool. You have great teams, we will help you making them happier. Twproject is built to adapt to your working methods and operative environment; it give you a full set of instruments to stay informed on project progress, budget, and scope creeps. Twproject facilitate work offering you the right place to “collect” information, store documents, take notes and whatever else run around a project without effort. Twproject do not push you to use a methodology. You will be free to use a classic waterfall as well as a Agile or a Prince2 approach. No additional effort is required to use Twproject; you drive, we follow. Complex projects, several teams, issues, budgets, milestones; how to keep everything under control? There is one answer only: collecting feedback, any kind of feedback (status changes, date changes, work done, issues opened, notes, discussions etc. ), from where things are done. This point is the crucial factor; only if you get actual information from the “base”, managers will have significant data to get the right decisions. This requires that your software need to be widely adopted. We spent several months to make Twproject UI nice and friendly, making it useful to every users profile. This is why Twproject has a very low “rejection” rate. Enterprises are complex; organizational charts, permissions, grants, delegations, bosses and customers. The refined security role based model covers any kind of requirements of access/visibility on projects; just assign resources on tasks and Twproject will do the rest. No effort is required to setup a security structure that fits your company needs. More than ten years of adoption success stories tell us that this it’s true! Every company has its own “mandatory oddities”: Twproject is built to extend the basic set of features by adding custom properties on task, issues, resources, costs and every main entity. Users can make its dashboard “a la carte” adding its preferred widgets. Custom forms, wizards and reports will complete the set of feature Twproject offers to fit enterprise’s needs. Twproject runs everywhere. It is built on Java and run on all the most used servlet containers. “Compatibility” and “connectivity” are our keywords. Twproject installs in minutes on every operating system. You can use your company’s preferred database. Twproject is the IT world’ preferred product. An easy data structure, API, schedulers, and connectors will allow you to let Twproject talk with your existing ERP, CRM and accounting systems. Don’t have an IT or you want to spare upgrade and maintenance costs? Use our per-customer dedicated servers on Amazon cloud. Ready to give Twproject a try? After less than one month from last release, here is a brand new Twproject version with exciting new features. Your project data are carefully collected and maintained by Twproject and this represents on of the most valuable aspect of Twproject adoption. How can you extract your data and present it to your users? Actually Twproject has several pages with dynamic filtering capabilities that extract meaningful data, but a customizable reporting systems was missing…. until now! On version 5.5 we have integrated Jasper Reports, one of most powerful reporting engine. 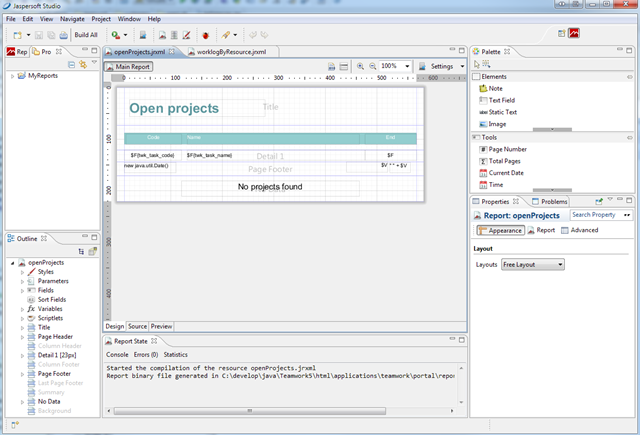 Jasper reports add the capability to create your reports in minutes using an intuitive graphical editor. the visual comparison between trend and aggregation makes you get at a glance the project’s “health”. This is the first step in introducing earned value management, that will be completed in one of the forthcoming releases. In this version we introduced some new features related to security. 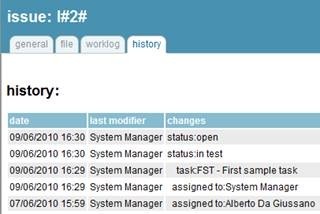 In Twproject you can upload files on tasks, issues, resources and so on. Uploaded files are indexed, for full-text searching, and then saved to a repository. Now you can choose between three different kinds of storage: folder, encrypted folder or database. In the first case uploaded files are copied as-is on a folder or network disk. In the second case, files are encrypted using a AES key, and then saved on the same folder. File decryption is automatic when you need to access the file from Twproject, but the file itself remain encrypted on the repository. There are tools for generating AES keys and for encrypting existing files. In the third case, files are stored on a database table as BLOB data. Note: existing files will use its original type and will not be touched. We have introduced a seal for every document that allows you to send a link to a friend (even without having a Twproject user defined). This link will be valid for 24 hours only, so that the risk of “leaks” will be reduced. Moreover the seal keep your repository safer, making harder an url guessing attack. Another minor security improvement has been introduced for the LDAP mixed authentication. This authentication modality is useful in companies where Twproject is used by internal and external users at the same time. Sometimes a large company uses the LDAP authentication to make the user’s life better, allowing a single login name and password for multiple systems (and also to have a single point for password policy management). Actually Twproject can be used not exclusively by internal users, but also by consultants or third party suppliers that are involved in projects but are not present in the LDAP server (for several good reason 🙂 ). In this case Twproject can use a fallback to its internal authentication using its internal database. Now we can force LDAP users to do not fallback; internal user MUST authenticate on LDAP, external ones will fallback. Contains a new view, task trees, and a subtle but important extension in functionality for “staff” selection. This is a free upgrade for all users of version 5. There are no changes in the database structure with respect to version 5. Thanks to user feedback and direct experience in bootcamps, we added a tree view of tasks which is simpler to read and allows basic data editing. 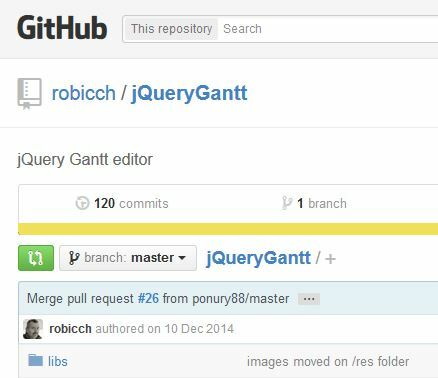 It has limited functionality with respect to the Gantt editor but it can be practical in many cases. We revised both the inner logic and the user interface of the resource department / group / staff theme. The modeling problem that we’ve frequently met recently for Teamwork used in large organizations is complex cases of delegation handling. Now if you are manager of a department you can assign all those in the department (inclusive of sub departments) as now they are on your staff – without setting area-global permissions. This makes it easier to model delegation in structures where a certain kind of project managers create work for other departments, without overriding that department resources assignments. It can be useful in cases where you have a planning department distinct from the set of project managers that handle resource’s assignments. So the planning manager can assign tasks to a project manager that has no global company rights, but manages her own staff, i.e. the entire department she’s heading. We also improved the use interface by removing the “staff” checkbox which made you filter resources by staff, having your staff members always as first rows in bold in combos. 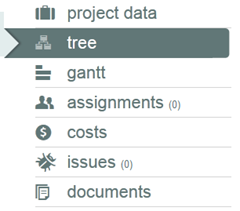 – Gantt editor is now in full screen (relative to the browser). – Date change and status changed request for feedbacks are active only on tasks not just created. – See in the resource assignment part all assignments on open tasks, also those out of date scope. – Mobile module: got “undefined” when saving agenda events. – When creating a new document file / folder selection from file storage did not work. – Made “my open issues” and “my open severe issues” predefined filters behave similarly in task selection. – Gantt editor: task descriptions inserted from that page were not saved. – Fixed default language pick at startup and on options. The base cost is 90 Euro per non-expiring license, and the upgrade cost is 35 Euro (44$) per user. Teamwork hosting is now built entirely on Amazon dedicated servers E3 service – more information here. The multi-platform installer includes an upgrader from version 4 which updates the web app and your data, but it cannot update Java’s JDK (see FAQ), you must do that by hand or do a new installation; Teamwork 5 needs Java JDK version 6 (or 7). In order to try version 5, the best way is to do a fresh installation. If you own version 4, you’ll need to purchase an upgrade license for version 5, unless you bought Teamwork 4 after 1st of June 2012 (our invoice date is the purchase date) – in the latter case it is a free upgrade. Teamwork version 5 has a new user interface and several new functionalities. 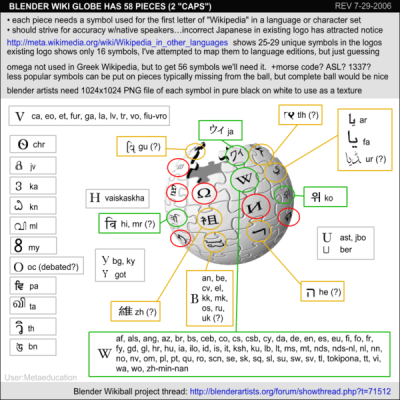 The work model is mostly unchanged from version 4. Also supports dependencies between any two tasks, not just between brother tasks. 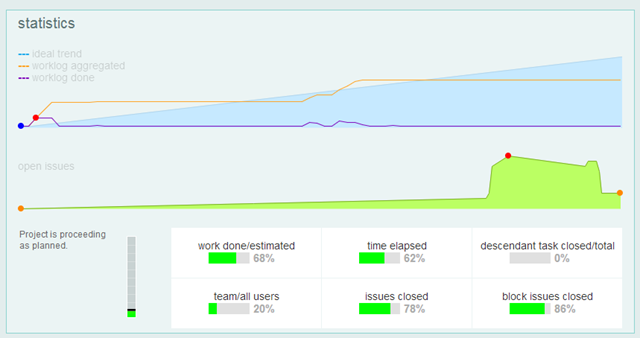 A line graph on the task editor which shows total worklogs / issues done. – Technical: libraries updated to Hibernate 4.
o for example worklog estimated in the time assignment can be set. Also added attributes to workflow descriptions that allow setting duration of tasks and estimations of assignments. Of course Gantts created online can be imported in Teamwork 5 – just go to projects and select “import from Teamwork Gantt”. N.B. Complete Teamwork sources (under NDA) are available for free to all customers as always. We are really happy to announce this major release update. As you may guess from the length of this announcement, this update will improve your Teamwork in almost every section, providing more modeling tools and functions. The web browsers’ enhanced capacities (in particular those of Firefox, Safari and Chrome) are used in depth to give users a better experience. – Issue managing by dragging – “kanban” like. – History of issue assignee, status and task change (better help desk and issue scaling support). – Better graph and agile / scrum handling. – Cross links between tasks / issues / resources / agenda events / meetings / boards. – Operator load computation has become much smarter. – Greatly extended user guide with real case work “mappings” to Teamwork, and a new section on performance optimization. Several pages that up to now were popup windows are now windows in place, which improves their usability: issue editor, custom forms, workgroup selector. Several text areas now support internal links (e.g. T#MYCODE#), web links (http://www.twproject.com), smiley’s, absolute URLs to images. Whether it should “behave” when asking user feedback as an open status, as close, whether it should ask for comments and / worklog when entering a status. So typically if your status is something in which the issue enters at “end of life”, it should be marked “as close” and “ask for worklog” too should be enabled. Issue change history. When changing a status, task or assignee on an issue, the editor will ask for a reason, and the change will be recorded on the issue. And in fact there is an additional tab on the issue editor, “history”. Issue organizer “Kanban”. Issues can be now be organized in a completely visual way by dragging and dropping them: filter the issues in which you are interested in, and then select the “organizer” button. Now you can also enable use of external codes on issues (admin -> default for projects). And it’s easier to drag them in the dashboard. Moreover it is easier to access the general page / portlet disposition page: just click “all users”. There is a new additional starting page: help desk support. Also take care of unavailability. – The examples in the distribution and the documentation now cover also “custom wizards”: see section 14.4 Custom wizards of the user guide. “.txt”, “.rtf”, ”.log” “.pdf”. “.htm”, “.html”, “.zip”, “.war”, “.jar”, “.xls”, “.xlsx”, “.xltx”, “.xlsEmb”, “.doc”, “.docx”, “.dotx”, “.docEmb”, “.ppt”, “.pptx”, “mpp”, “mpx”, “.msg”, “.msgEmb”, “.vsd”, “.pub”. Also custom fields are full-text indexed. – Expose issue id in editor and list. – LDAP authentication cascades to system one. – Develop a resource snapshot. – Sort File Storage Document Listing. – Make “add document content” in a rich text editor. – Please put a link to a task on the agenda event : we actually did much more by having full internal links. – Need to add subscription event for when a new version of a document is uploaded. – Display agenda items in planByResource like in worklogWeek. – Search for specific custom fields. – You can have a customized help message in the “help” page, just add in the labels CUSTOMIZED_HELP_CONTACT. – Notes on issues are on the main tab and self-resize. – Issue assignee selector got simplified. – Now you can create subtasks as sub-fluxes. – Counters can now be reset and deleted. – When changing a task on an issue, notify the new assignees. – Since version 4.5 custom fields support also “typing” of data. E.g. “cost,20,java.lang.Double” will add a custom field of length 20 and type “double” (a floating point number). – Holiday settings: now you have year-specific settings. – In issue list you can now filter by task type. – Resource print includes my assignments. – Check why in the assignment notification we add a link to the task even if the resource has not the rights to read task … . – Meetings are not full-indexed. 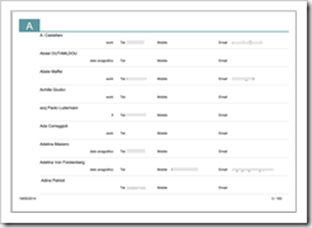 – Index custom forms data. – Create issue from task editor menu does not launch creation nor filters??? – Issue multi edit: bulk change gravity do not close actions clicking “close”. – Fixed various combo positions in bulk update screens in case of scroll. – Summa is not saved on document link and file storage on tasks and resources. 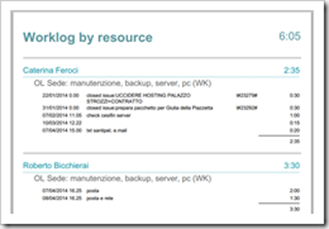 – A fix for Oracle on Resources with no surname. – An operator may change his own password even if cookies are enabled. – Do not notify disabled users. If you log as administrator and go to the label management section, open the “label rules” container (it is closed by default), and say if you want to have only English as language, type EN in the enabled languages field and select SAVE. – Added -server configuration to the Java JVM distributed. Any custom filter on issues will need to be redone as the issue statuses are a lookup field. Unfortunately all document list attached to discussion points of meetings will be reset. P.S. We’re building the beta of a new online service – called Licorize – a cocktail of Delicious bookmarking and light to-do management. If you’d like to beta-test it, just send an e-mail to info@twproject.com with “Licorize” in the subject or body – we will soon give you access and also a year of free usage to your entire group. Some project management applications provide minimal functionality: just a Gantt drawer. Some, more groupware oriented, provide a vast spectrum, including e-mail and chatting. While developing Teamwork, we made several choices about what to include and what not. The choice for Teamwork has been guided by this simple princliple: include only what will not sharply conflict with acquired user habits, and will have a rich integration with the rest of the system. All these have a natural integration with project management, bringing together personal and team management. So we put them together in a unique, integrated solution; you don’t have to get three separated products from us to get this functionality. The three integrations above are probably used by most in standard ways, and happily too: you are not going to change those user habits with the new project management software; so the work we have and are doing is to integrate with the existing applications, as smoothly as possible. Notice also that probably most users already have a calendar application, and others that may overlap with what we provided built-in, and for that we are working so hard in extending seamless integrability (most previous posts talk about this in fact). This is for the actual situation; but usage of the web is evolving all the time, and more integrations are now needed: in Teamwork we always assumed that the contents and documents related to projects and work which would not be articulated in tasks, issues and to-dos would be handled by other document management software, and then somehow connected to projects (say for example with file storages). But with wiki and blogs, content is more and more inserted directly online, and we should support this also inside Teamwork. One can currently do this by simply creating custom portlets connected to a Wiki service. But as with most of our solutions, we would like something organically integrated with the rest of Teamwork functionality; for example, content editing would naturally blend with exposure of Teamwork objects to REST and similar services, and in-place customizations of pages. So this is one of the (non trivial) directions we are now exploring. If there is an organic integration that we are missing, just post it on our feedback service! Images that require attribution are linked to their source.